Hurricane Irma tore through Jacksonville, Florida on the same day the Jaguars were facing off against the Houston Texans. Die hard Jag fans were rewarded with an incredible performance; winning 29-7. The ladies of ‘Helmets and Heels’ react to the surprising outcome of the game, the aftermath of Hurricane Irma, and more in the world of sports on this week’s livestream. Find out more about the #JaxAsOne campaign here. 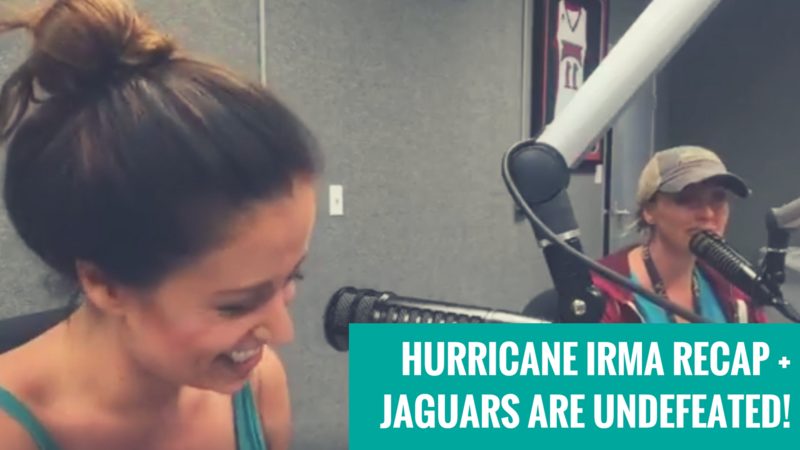 The post HURRICANE IRMA AFTERMATH AND YOUR UNDEFEATED JAGUARS ON ‘HELMETS AND HEELS’ appeared first on GuysGirl.